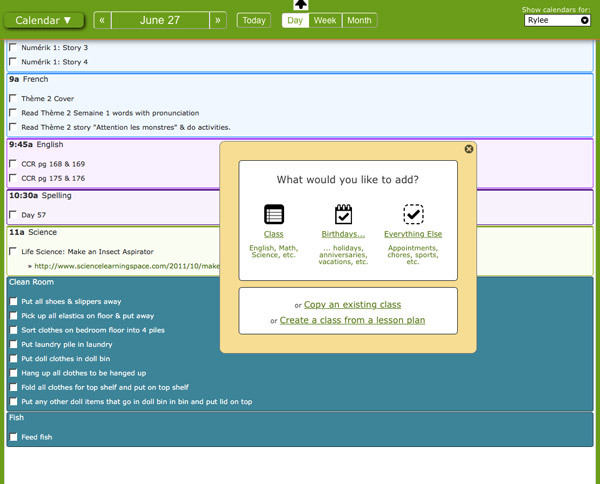 Homeschool Planet is an online glorified planner for homeschooling families. Rarely has any product made such an impact in my life! Being a single mom can be crazy at the best of times! You need to work to financially provide for your family, keep up with regular household duties (cooking, cleaning, laundry, grocery shopping, etc. ), and still have time to be a good mom. Add to that various other family obligations and trying to homeschool an early elementary aged student, and I was just about losing my mind. It was impossible for me to succeed in every area, and I wasn’t. A further major stress was trying to comply with the local homeschooling laws of teaching my daughter to read and write in french, equivalent to what she would learn in a French public school. Being an English parent that can get by in French but is in no way equipped to teach it, I had no idea how I was going to accomplish this. As much as my daughter was benefiting from homeschooling, I knew something had to give. The only logical option would be to stop homeschooling, because not providing financially and not eating weren’t options. But sending my daughter back to public school wasn’t a viable option either. My daughter is EMF sensitive and suffered quite a bit of health issues when she was in public school, due to the school wifi. This impossible dilemma kept me awake at night. But when I discovered Homeschool Planet, I knew I had found the answer. Homeschool Planet is an online planning software designed specifically to meet the needs of homeschooling families. And it definitely delivers! I’ve previously tried various planners and all fell short. Paper planners were too inflexible. I tried large mom calendars, agenda’s, and daily to-do lists. The problem is life doesn’t always follow our original plans and rescheduling on paper can be time-consuming and a pain. To avoid unnecessary erasing and rewriting, I would only write out a weeks worth of school work at a time. This meant every Sunday I needed to spend some time figuring out the schooling for the week and write it in my daughter’s agenda book. 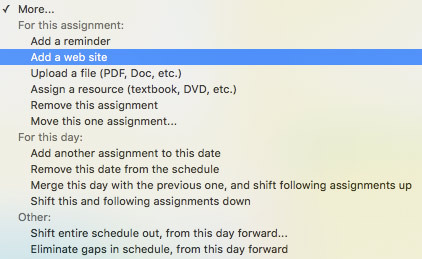 I also tried a couple online calendars, but couldn’t find one that wasn’t extremely time-consuming trying to enter assignments for various classes. 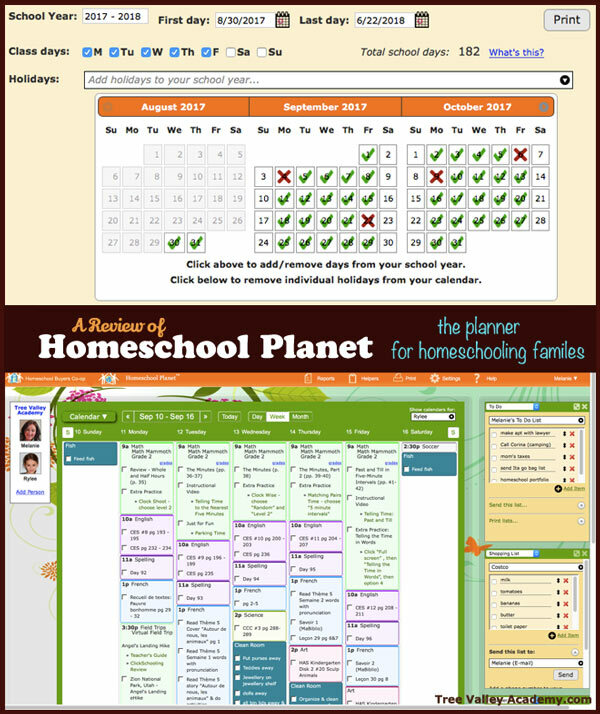 Homeschool Planet makes scheduling a breeze. If life ever changes your plans, rescheduling is no big deal with the “Rescheduling Helper”. Just a click on any empty space of the calendar brings up the pale yellow box you see in the screenshot below. I want to add a new class so, I click on “Class” and this window appears. 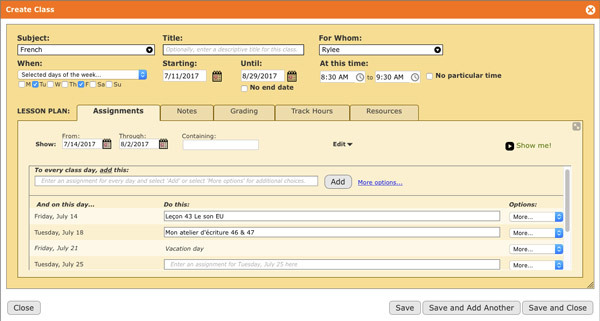 Use the drop down arrow to choose or create a new subject, choose who the class is for, and when you want it scheduled for. 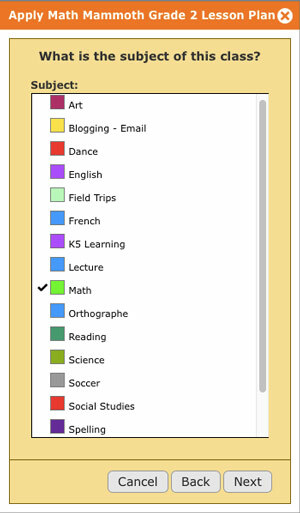 Then a spot to add assignments for each applicable school day will appear. That’s the basic explanation of it but there are so many customizations you can make it’s hard to really express in a simple post all the things you can do and the sheer awesomeness of it. This latter feature is something I make good use of, and has been a key factor in my ability to feel successful in adding french to our homeschool. It allows me to find a variety of french resources online (games, video’s, tutorials) and add them to my daughter’s schedule. Then when my daughter logs on to see what she has scheduled for the day, if she sees a link, she just clicks on it and it opens to whatever site I wanted her to work in. There’s another way you can schedule a class, and that’s by using a Lesson Plan. A lesson plan saves you the time of planning each day’s assignments of a particular curriculum. It’s all done for you, and in just a couple of clicks it will be applied to your calendar in whichever way you desire. You can create your own lesson plans and save them to use whenever you have a child ready for it, or you can purchase a lesson plan that’s pre-done for you, from the Homeschool Planet Marketplace. For the purpose of this review, I was given any lesson plan of my choice. 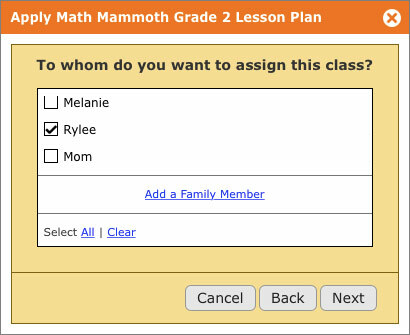 I chose Grade 2 Math Mammoth as that is the curriculum my daughter will be using next year. I wanted to schedule it for a couple of days throughout the summer, just to get a bit of a head start before the next school year. I had previously created 3 different school calendars, one for the remainder of the current year, a much lighter summer schedule, and the next school year. And it’s done. I counted and from start to finish the summer math was scheduled in 14 clicks :). 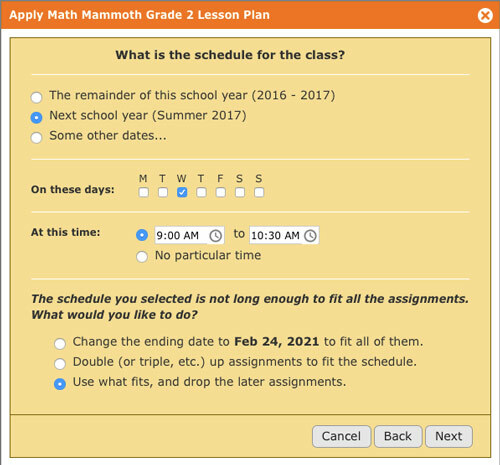 To add the remainder of the lessons to the following school year, I just created a class using my Math Mammoth lesson plan like previously. The only difference is I chose the option of “Only the Assignments I Select”, and it scheduled the new school year from where the summer left off. 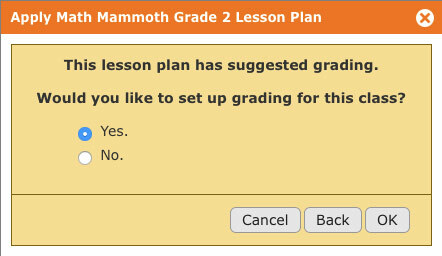 Just a small comment about the Math Mammoth lesson plan. It includes links to various instructional video’s, games, etc. that correspond with what is being learned. Even tho life as a single mom is still crazy, it’s now a bit more of an organized crazy. Slowly but surely I’m getting almost every aspect of my life organized and streamlined – everything from my house being cleaned, paying my bills on time, grocery shopping, homeschooling, etc. Even my daughter is getting her schoolwork done quicker with less dawdling. We’re both getting more done in less time which is freeing up time for us to spend more quality time together. I now feel confident that I can handle continuing to homeschool next year and still be able to manage all my other responsibilities. This truly has taken a huge weight off my shoulders. 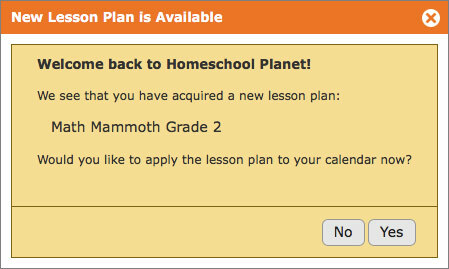 Update: Between January 14-31st, 2019, there is a promotion where new subscribers can try HomeschoolPlanet for 2 months for only $2. Use coupon code hsp2for2.